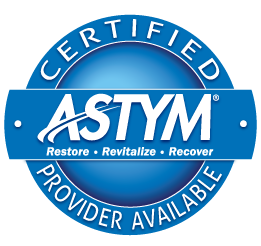 Certified Astym® providers are available at Fyzical Therapy and Balance Centers. Fyzical Therapy and Balance Centers is committed to offering top-quality care. We have clinicians on staff that underwent the intensive training and education to become Astym-certified.